We know how much you love them. We've been there and had that pain too. So it is an honor and we take it seriously. 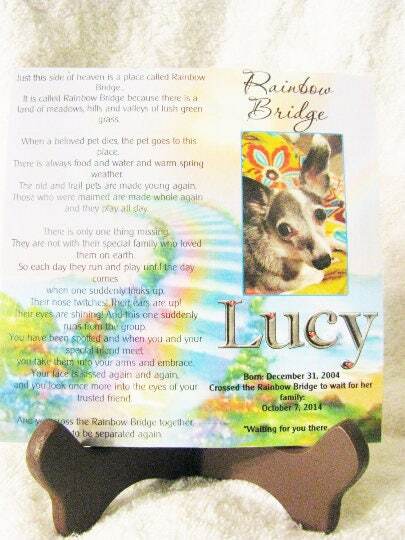 To make a special item in memory of your pet. 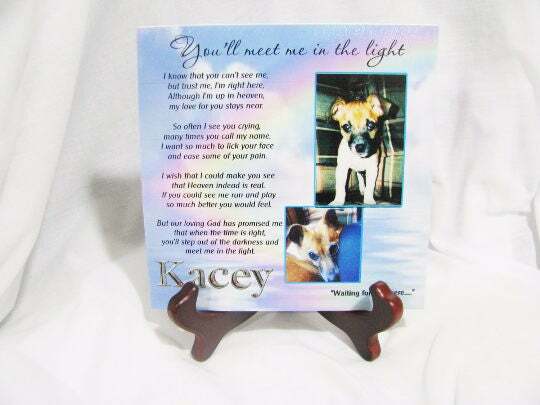 Our tiles are designed on the computer so get maximum color from all your pictures and the colors and design that you want (you can see many in this listing and please check out our other listings too). Then we seal the heavy glossy paper to a ceramic tile. So the front looks like a canvas. The back has a thin cork back to protect it. And stands nicely on a wooden stand (included). 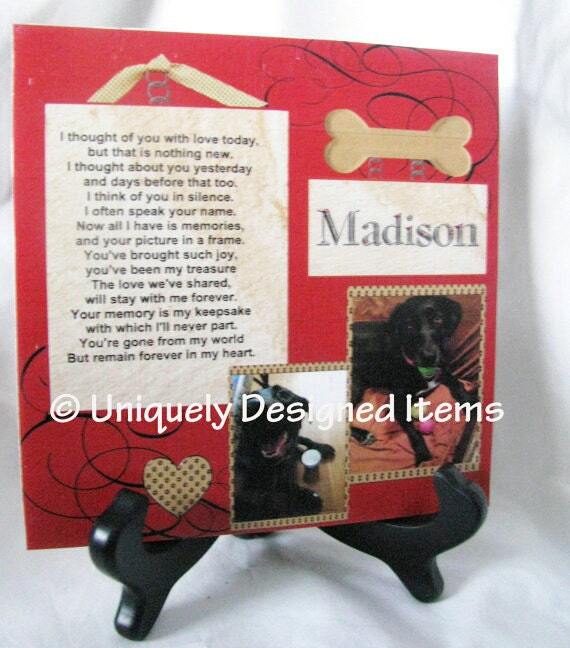 Great to put on a bookcase, desk or anywhere that you want. Order as many as you need. 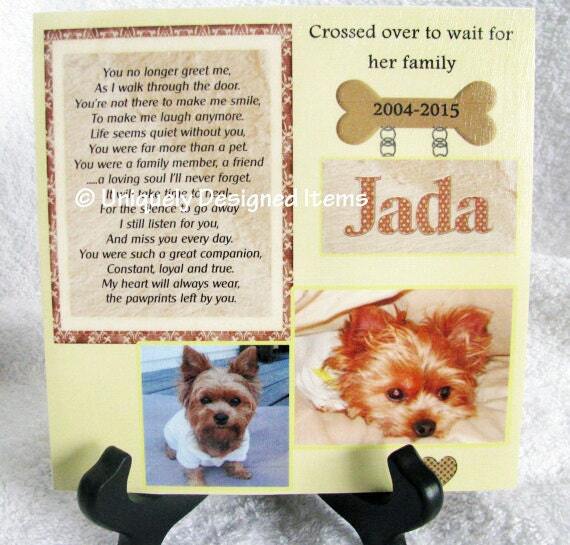 Pets are a huge part of our family and we want to help you remember them with our pet memorial tiles. 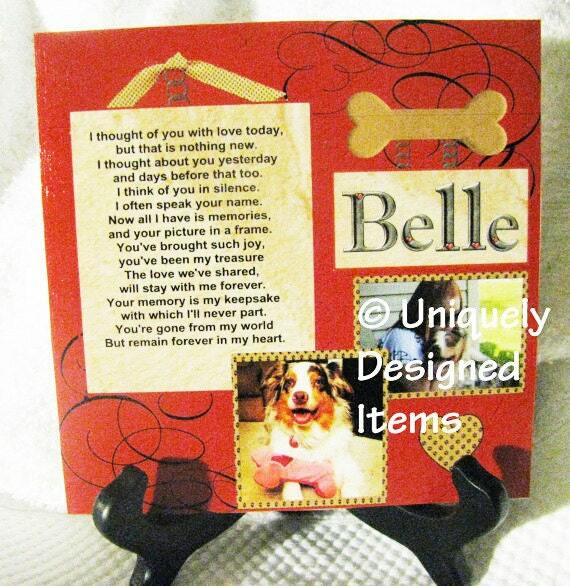 They are a 6x6 tile with stand. 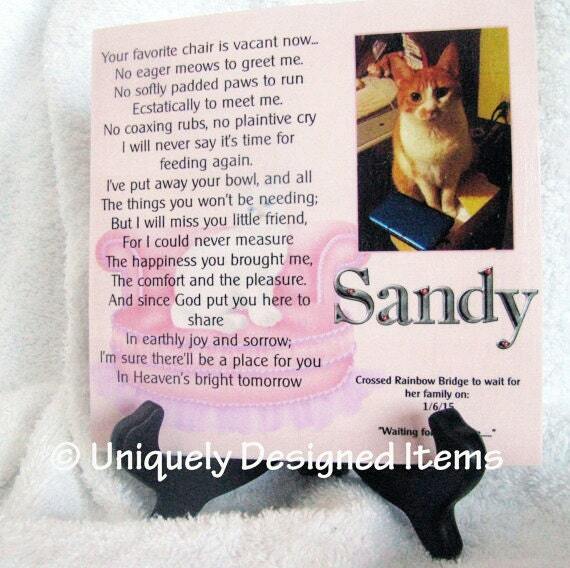 Thank you for stopping to look at our pet memorials!